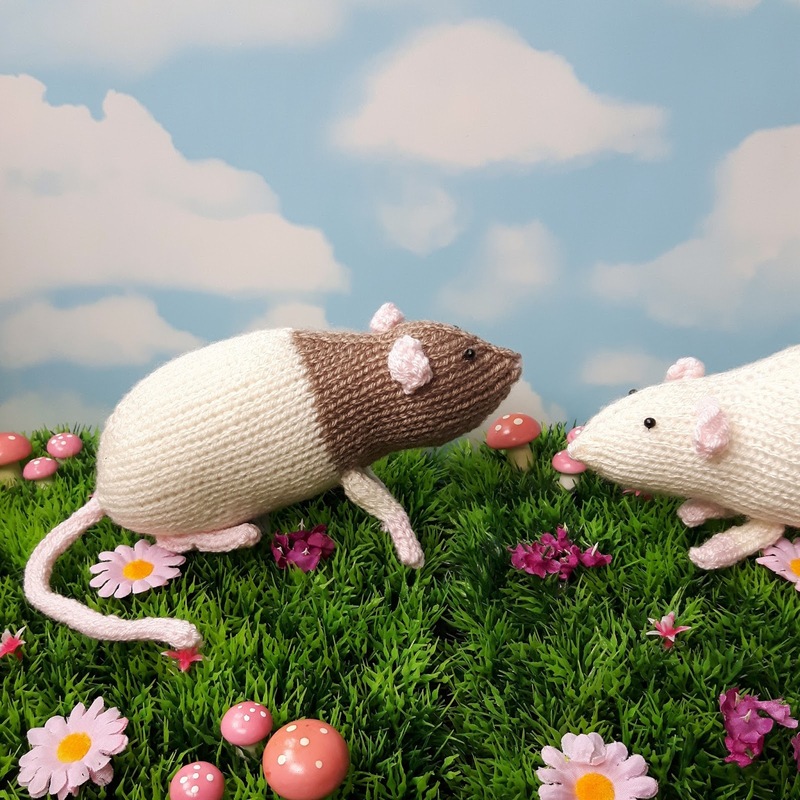 Spring time is nest time! Spring is a busy time of year for birds – time for nest building, then eggs, and then hungry chicks to feed. Don’t forget to keep feeding your garden birds, even though the weather is getting warmer. 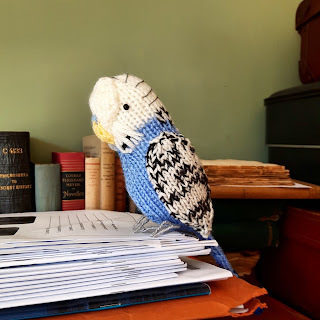 They’ll appreciate the extra help at this hectic time of year! 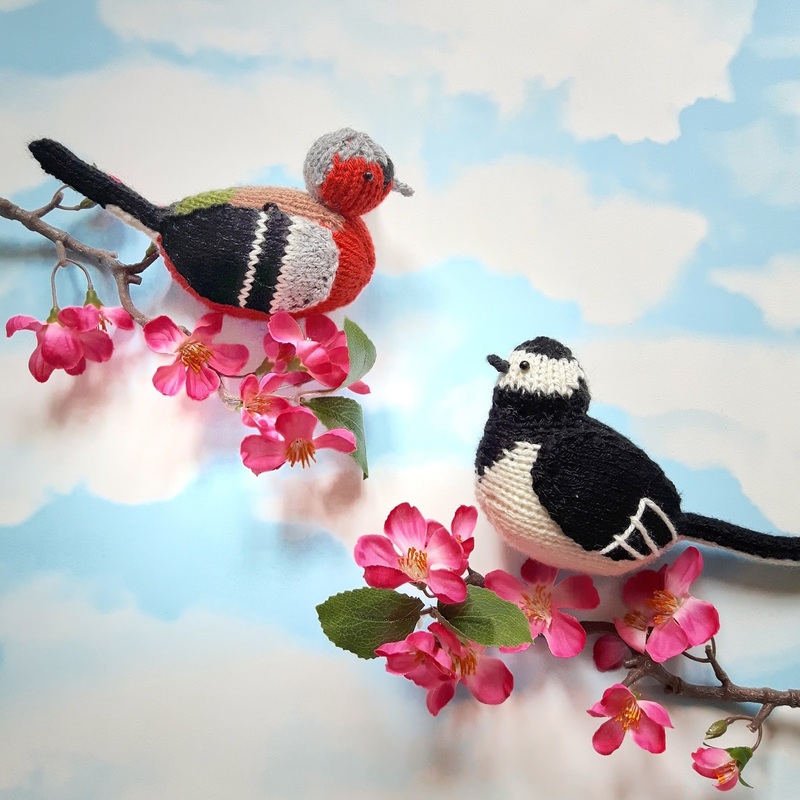 “You alright up there, Steve?” Pippa the Pied Wagtail and Steve the Chaffinch are off exploring the spring blossom. So it looks like we may have snow forecast for tomorrow – time to cosy up with a cup of tea and some knitting! 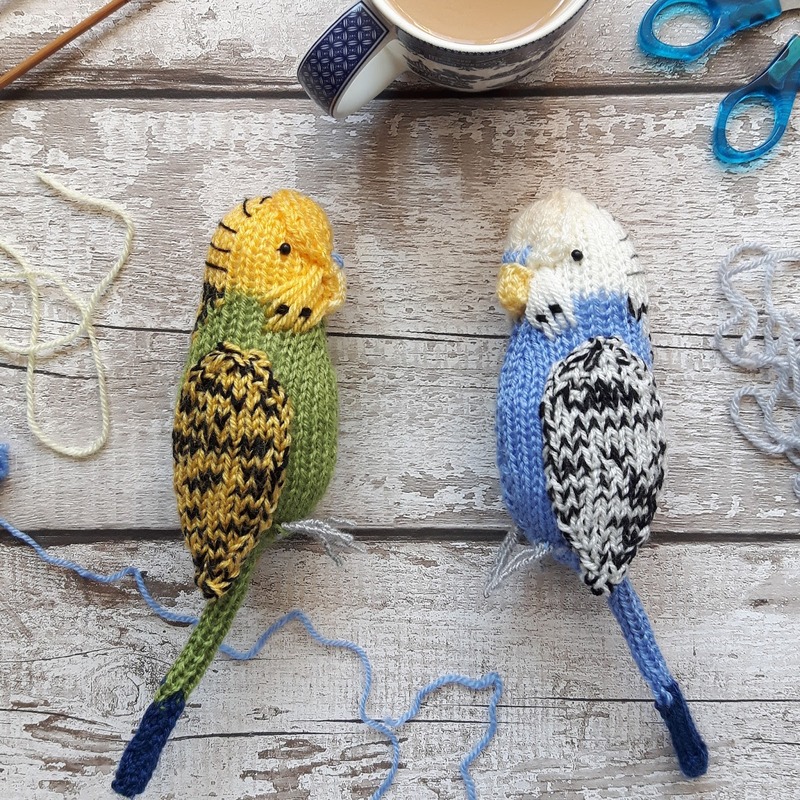 These knitted budgies are staying warm and happy inside so they can watch the snow through the window. 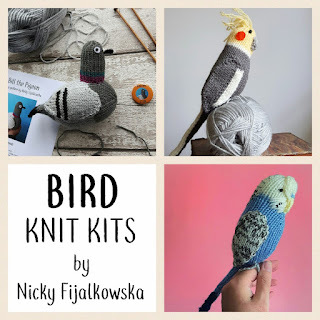 I’m so glad that people are enjoying my bird knit kits – I’m working on more at the moment and will keep adding to the collection throughout the year! 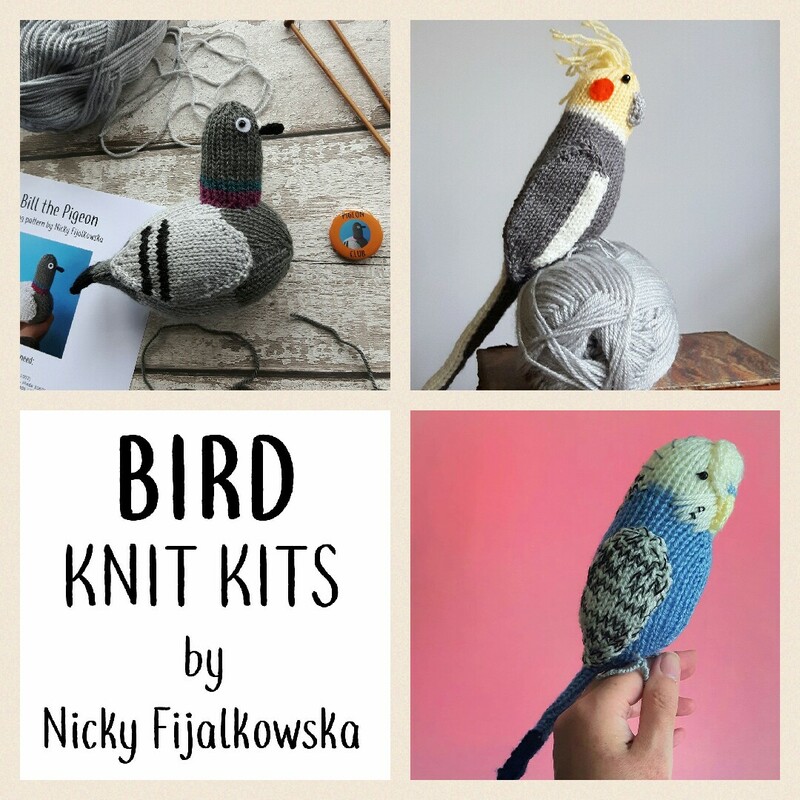 Here’s Bill the Pigeon, Jarvis Cockatiel and Sparky the Budgie. 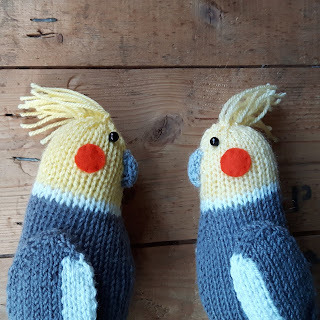 Two knitted cockatiels, trying to put the world to rights. It’s a new knitted bird! 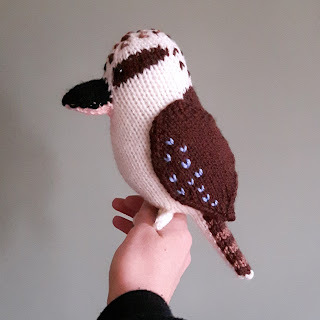 I’ve been working on this Kookaburra for the last week and am so pleased with how he turned out. It’s really good to have someone help you with the paperwork at this time of year!